Broccoli is often forgotten about on the plate. It’s a fine accompaniment for any dish, but never the star. Roasting seems to be the fix to making it fun and delicious. The first trick is pre-heating the pan. 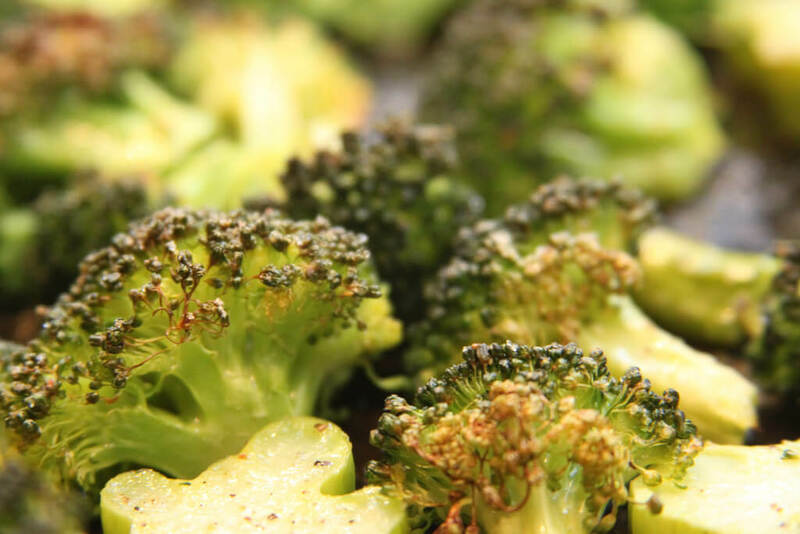 It allows for even caramelization of the broccoli on both sides of the vegetable. The high heat also allows for it to go quick and brown well. Just simple oil and salt is all you need to make good and simple and a bit more peppy than the normal boiled. Broccoli, like Brussels sprouts, are all part of the same family of cruciferous vegetables. The high heat allows for proper normalization and those wonderful flavors you get from these types of vegetables.